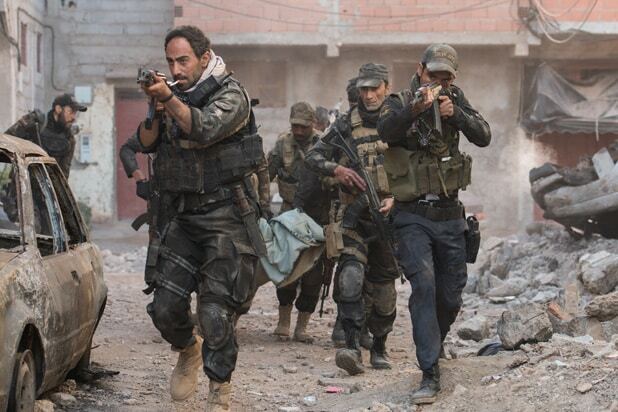 Screenwriter Matthew Michael Carnahan (“The Kingdom,” “World War Z”) is making his directorial debut with “Mosul,” a film about a SWAT team’s desperate fight to rid the Iraq city of ISIS militants that shot in secret in Morocco last spring with a local cast. “Mosul,” for which Carnahan wrote the screenplay, explores the true story of an elite police unit made up almost entirely of native sons of Mosul who fought to liberate the city from 6,000 ISIS militants. The film is based on a New Yorker story by Luke Mogelson, who embedded with the unit for two months and documented the team’s fight, block by block, to destroy ISIS. Produced by AGBO and Condé Nast Entertainment, the film was shot on location in Marrakech, Morocco this past spring. The film, shot by Academy Award-winning “Avatar” cinematographer Mauro Fiore, is now in postproduction in Los Angeles. The Russos said “Mosul” extends their commitment to producing auteur-driven films of social importance. Anthony and Joe Russo serve as producers for the brothers’ AGBO production shingle, along with the company’s president of production Mike Larocca. Condé Nast Entertainment’s Jeremy Steckler (“The Old Man and the Gun,” “Only the Brave”) will also produce, as well as Spotify’s Dawn Ostroff (“The Old Man and the Gun,” “Only the Brave”). Executive producers for “Mosul” are Todd Makurath, Christopher Markus and Stephen McFeely for AGBO, along with Mohamed Al-Daradji (“Son of Babylon”), Patrick Newall (Anon) and Wang Zhongjun, Wang Zhonglei and Felice Bee from Huayi Brothers Media. “Mosul” features a cast drawn from the Middle East, North Africa and the Iraqi diaspora. Producers described it as the flip side of “American Sniper”: these being the soldiers for whom the only way home was by fighting to re-claim it. Worldwide sales will be represented by Endeavor Content at AFM.